Anyone who's ever had a passing interest in health food knows that apple cider vinegar has long been touted for its myriad health benefits. Even if you discount these claims, this stuff may have a real impact on your complexion, digestion, and blood sugar (editor's note: Have a little before lunch and you can kiss that afternoon slump good-bye). The only problem is, um, to take the stuff, you have to taste the stuff. Unless you have a very particular palate, the strong, pungent flavour of apple cider vinegar might give you kid-taking-medicine face. Here's the good news — you can stop crying. We have three ways to get your ACV which are more than not-gross, they're legitimately delicious. Check out these recipes and enjoy. Not only will this vinaigrette liven up just about any salad, it also works great on basic greens as a sauce for vegetables or even a chicken or salmon filet. You get a hearty dose of ACV in a tangy, bright dressing that will keep for days in the fridge. Plus, a little fresh lemon, superfood chives, and EVOO won't hurt your glow any! Mix first five ingredients together until well blended. Slowly add olive oil, whisking continuously to emulsify. That's it! This is a great base, but feel free to add or adjust ingredients to your preference. *Note: All these recipes refer to raw, unprocessed apple cider vinegar (like Bragg, Fleischmann's, or Dynamic Health). Make sure your vinegar has a cloudy consistency — that's the "mother of vinegar." Might look weird, but that's where the good stuff is! If we offered you a glass of apple cider vinegar drink, you'd probably run screaming from the room (and we wouldn't blame you). But this refresher has quickly become our go-to afternoon treat! It's sweet and tart, like lemonade with a kick. We have friends who swear by this as a cold-killer (and hangover cure), but we just drink it because it's good! In a pitcher or large jar, mix all ingredients until well-combined. 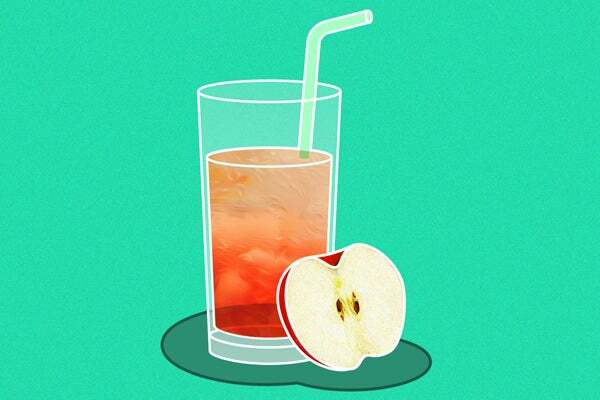 You can adjust measurements to your preference (or swap out the juice for another flavour — raw apple works well, too! 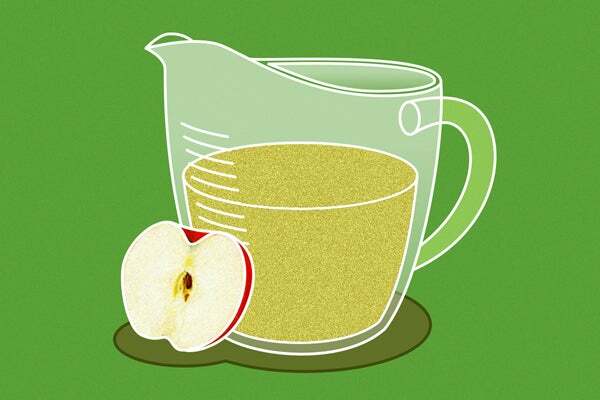 ), but to get the benefit of ACV, make sure you're at least getting 1 tbsp per serving. We like to serve this over tons of ice for a mega-refreshing pick-me-up. This super juice lasts for weeks when sealed and refrigerated, so feel free to double or triple the recipe and keep it on hand for whenever you need a feel-good quaff. The truth is ACV works in just about any vegetable soup. Let's face it: Soup can be boring, and a little vinegar adds a whole new level of flavour and brings out the taste in the rest of the ingredients. However, we find it works wonders on root vegetables (already a family of health-food powerhouses), and this is our favourite combo. Wash all vegetables and cut them into large chunky bites (about 1/2 thick). In a large pot, saute onion until translucent and fragrant. Add vegetables one batch at a time, stirring to coat with onions and olive oil. Cover the vegetables with water until fully submerged. Bring to a simmer and leave until the vegetables are just tender enough to bite. 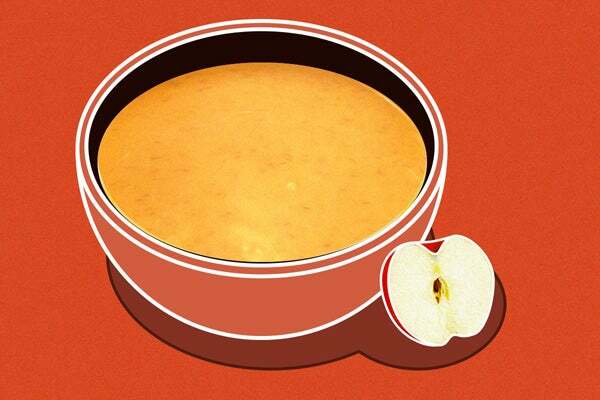 Remove from heat and stir in apple cider vinegar (and salt, if using).